While Vietnam’s brutal dog meat trade is fairly well known, cats tend to be forgotten victims of an equally sinister trade. 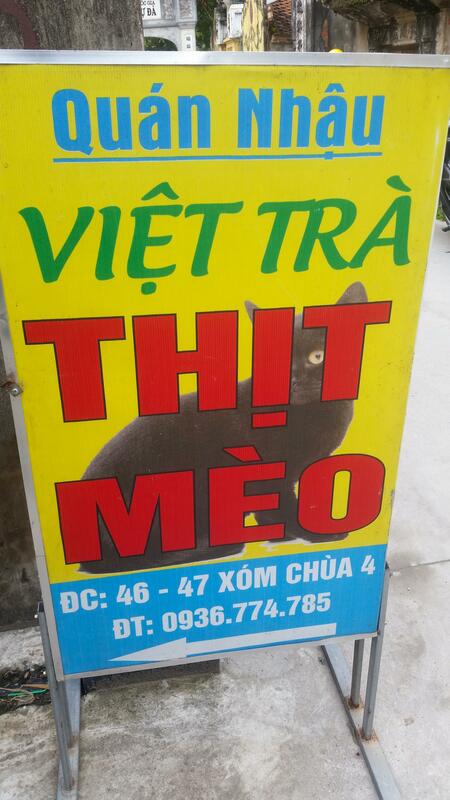 In recent years, there has been a surge in the number of restaurants in Vietnam serving a dish known as ‘Little Tiger’ or thịt mèo (Vietnamese for cat meat). Many people believe that cat meat brings good luck, has medicinal properties, and wards off evil. It is estimated that up to a million cats, many of them cherished pets, fall victim to this trade every year. In order to meet the demand for cat meat, both stray and pet cats are routinely trapped or stolen using snares, crammed tightly into wire cages, and trafficked throughout the country to supply cat meat restaurants and markets. The suffering of these cats is immense, from capture to slaughter, in which many are drowned, beaten to death, or de-furred while still alive. Further fueling the trade is the country’s lack of available low-cost spay/neuter opportunities and humane management options for free-roaming and pet cats. This leads to the birth unwanted litters of kittens and puppies that often end up in the meat trade. Central Vietnam is a particularly popular area for stealing cats which are then trafficked throughout the country. 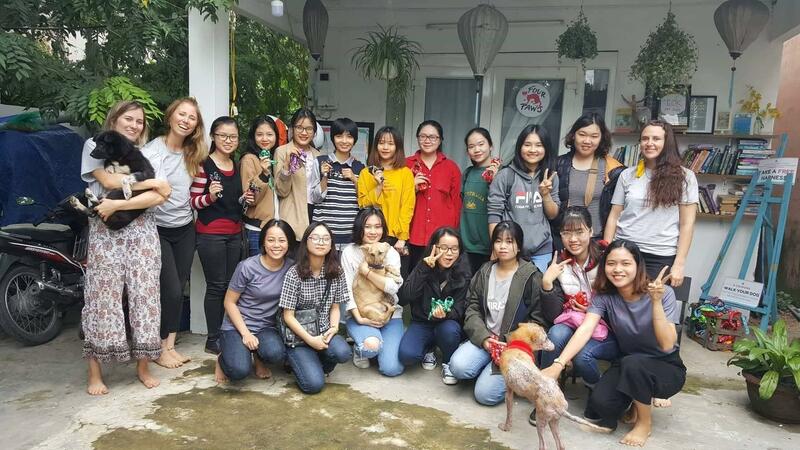 Together with our local partners, FOUR PAWS hopes to improve feline welfare in Central Vietnam in a sustainable way through education, community engagement, veterinary services, and support of local pet owners. Ultimately, we want to see an end to the cruel trade in cats for their meat. 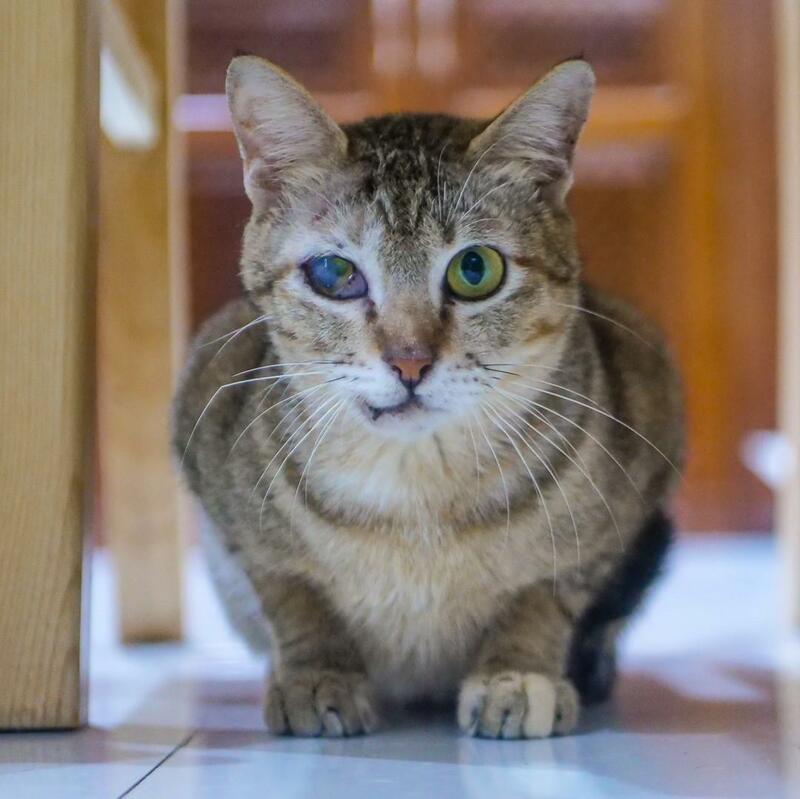 Barb was a stray cat living a rough life on the streets in Da Nang, Vietnam. 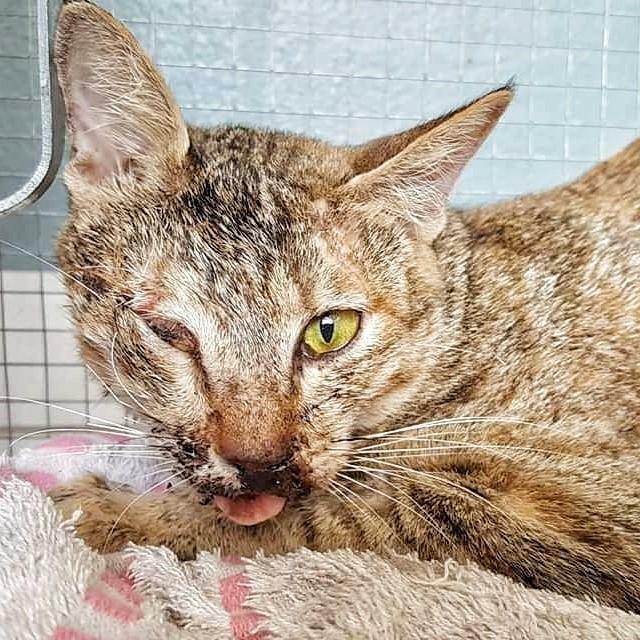 One day our outreach team received a desperate call from a local lady reporting that she witnessed a cat struck by a motorbike, left to die on the side of the road. It wasn’t clear if Barbs was intentionally run down to steal her for meat, or if it was a traffic accident. When we first found her, she was in shock and unresponsive. She was hit so hard that her right eye popped out of the socket. If we were to save her eye, she would require emergency surgery. After a delicate surgical procedure and many weeks of care, Barb is recovering nicely and able to use her eye once again! Soon she will be ready for adoption into a forever home.